Bobby Bonilla hasn't swung a baseball bat professionally in over a decade, yet every year on July 1st The Mets cut him a check for $1.2 million. That's more than any current Mets outfielder will make in 2013. How is that possible? During his 14 MLB seasons, Bonilla was a six time all star, three time silver slugger and a member of the 1997 World Series champion Florida Marlins. At his peak, he could be expected to hit 20 home runs a year with 100 RBIs and a batting average well over .300. In 1991, Bobby signed a five-year $29 million contract with the Mets that made him the highest paid baseball player ever, up to that point. Unfortunately, towards the end of his career Bobby became somewhat of a disappointment. In 1999, with one year left on his contract, he averaged just .160 with four home runs and 18 RBIs. So why on earth did the Mets management agree to give him an incredibly lucrative new contract that still pays him millions every year today? The answer involves brilliant financial planning, an overly aggressive Mets organization and, believe it or not, Bernie Madoff. Bobby Bonilla bounced around a bit in the twilight of his career. A year after winning a World Series with the Marlins, he was shipped off to the Dodgers for a season. He was then brought back to The Mets where he spent that horribly bad 1999 season mostly arguing with manager Bobby Valentine. That season ended with an embarrassing incident when Bobby and teammate Rickey Henderson were caught playing cards in the dugout while their team lost the final game of the NLCS to Atlanta. Needless to say, there wasn't much love between Bonilla and The Mets organization in 2000. Unfortunately, The Mets still owed him $5.9 million. Bobby knew that these were likely the very last dollars he would ever see from a big league contract. He had a maximum of three subpar seasons left in his legs. Whatever money he had saved up plus this final payment from the Mets would potentially need to last 40+ years. Adding to the 36 year old slugger's anxiety was the fact that many of his fellow athletes had gone broke a few years after retiring. Athletes going broke is an unfortunately common story. A recent Sports Illustrated report found that 70% of NFL players, 60% of NBA and a high majority of MLB players are bankrupt within 2-4 years of retirement. Most of these athletes lack higher levels of education and do not have any skills that can be translated easily into the real world. Athletes are notoriously bad at managing their own money. They make terrible investment decisions and spend wildly even when there is no more money coming in. Curt Schilling lost every cent of the $50 million he made playing baseball on a failed video game company. Allen Iverson squandered a $150 million fortune on gambling, houses, jewelry, child support and on a 50 person entourage. Mike Tyson blew through a $300 million fortune. Evander Holyfield blew through a $250 million fortune. The list is endless. Similar to professional athletes, a high percentage of lottery winners go flat broke within a few years of receiving a huge lump sum of money. Lottery winners face many of the same issues as athletes. With zero experience, most over spend and get caught up in bad investment schemes. When you win the lottery, you are given two choices typically: You can accept a smaller lump sum immediately, or you can be paid the full amount in monthly increments over many years. If you talk to any investment advisor or financial professional, 100% will recommend taking the lump sum. Even though you are accepting a lower amount, the time value of money makes it far more valuable than getting paid spread out over years. 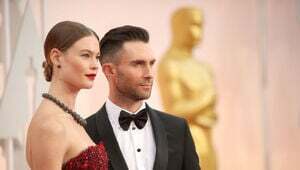 A $60 million lump sum, should in theory grow to be far more than the $100 million that would be eventually paid out over 30 years. $60 million today can be invested in stocks, CDs, bonds, treasury certificates, real estate etc… Regardless of what every financial advisor in the world recommends, the reality is that the vast majority of professional athletes and prospective lottery winners would be way better off spreading their money out instead of taking a lump sum. When it came time to negotiate with The Mets, Bobby Bonilla was smart enough to secure one of the most forward thinking contracts in sports history. He knew The Mets wanted him gone but technically owed him $5.9 million. He also knew he had a young son and daughter who would be looking to go to college, and as a 36 year old, he likely had many years worth of life to live. So at this point, Bobby and his agents offered a unique compromise: The Mets would release Bobby to play for another team and they would delay the $5.9 million payment for 11 years, with interest. In essence, The Mets agreed to pay Bobby a total of $29.8 million (instead of $5.9 million) in 25 annual installments of $1.192 million, starting in the year 2011. When he received his first $1.192 payment, Bobby was 48 years old and had not played in the big leagues for 10 years. He has basically guaranteed himself a big league salary every year for the rest of his life. 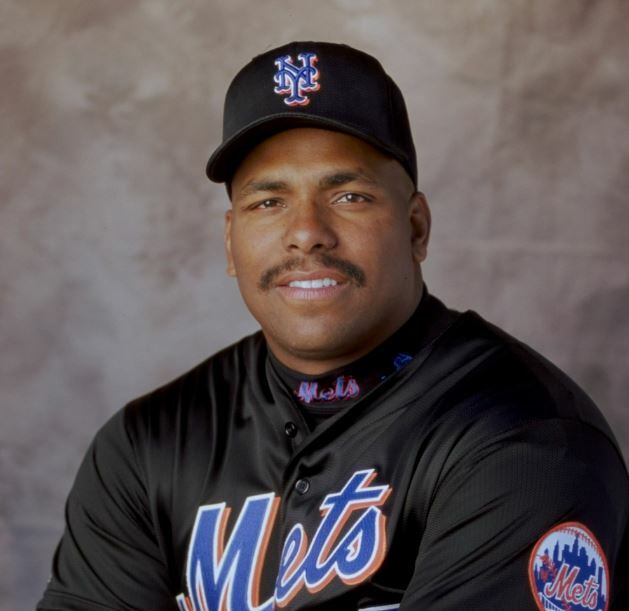 Today Bobby Bonilla makes more per year from the Mets than most of the team's active players! So why would The Mets agree to this deal? In 1986, Real estate developer Fred Wilpon purchased 50% of The New York Mets for an undisclosed sum. He purchased the remaining 50% for $135 million in 2002. Wilpon was also one of the biggest investors in Bernie Madoff's Ponzi scheme hedge fund. Prior to the fund's December 2008 collapse, Madoff was returning a consistent (and completely fake) double digit rate of return every year. With those returns in mind, Wilpon knew that The Mets would actually make a huge profit by deferring Bonilla's $5.9 million. Even though that meant agreeing to pay him more than five times the amount they owed ($29.8 million), Wilpon could safely estimate that the Mets would make $60-70 million off $5.9 million over those 25 years investing with Madoff. Unfortunately, as we all know now, Bernie Madoff's investment fund was actually a gigantic Ponzi scheme that wiped out between $20 and $65 billion in wealth for thousands of investors. Wilpon, who was under the false impression that he had made $300 million investing with Madoff, had potentially lost as much as $700 million. Not only did this completely invalidate the justification for Bobby Bonilla's contract but it almost forced Wilpon to sell The Mets to cover his debts. In 2011, Wilpon nearly sold 50% of The Mets to a billionaire hedge fund manager named David Einhorn, but was eventually saved by loans from Major League Baseball and Bank of America. Bobby Bonilla meanwhile is living the good life. On July 1st 2013, he received his third direct deposit from The Mets for $1,193,248.20. Just five months earlier, Bobby celebrated his 50th birthday. Bonilla is a living lesson for why we might all be better off turning down lump sums and instead opting for deferred payments. I hope we all have to make that choice some day! Happy Bobby Bonilla Day! AKA the day when a 54-year-old retired baseball player randomly earns $1.2 million from The Mets. July 1st is definitely a holiday in the Bobby Bonilla housewold!